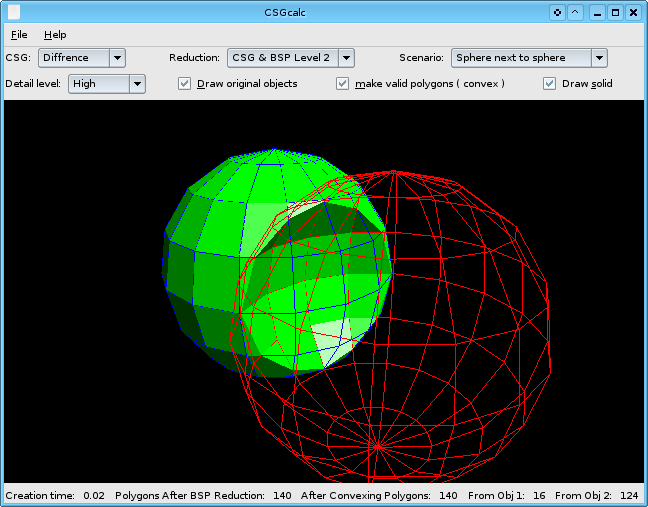 CSGCalc is an experiment in BSP trees and wireframe CSG. Its part of a biggerr project to add realtime CSG drawing to the wireframe views in KPovModeler. I've never got around to it and its been a while. There are still some faults but most of it works well, and quickly. Fixed some more problems with prompting from Roy Jacobs. Fixed a few more problems, and added some new features.